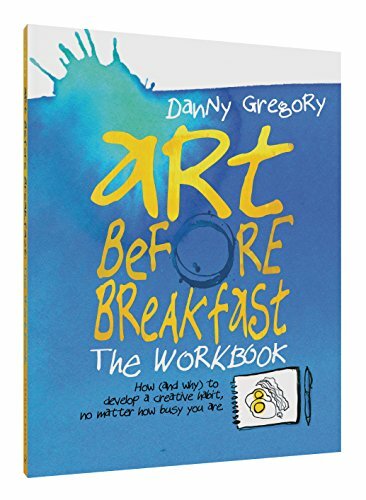 Here's the companion workbook for Danny Gregory's earlier book Art Before Breakfast: A Zillion Ways to be More Creative No Matter How Busy You Are. That book provides a very basic guide to drawing and also ideas on what to draw. This workbook provides even more prompts and invites you to draw on the pages. The book's able to open flat to draw on. This is one of those fun books for those who want to draw something but don't know what. There are no more excuses now. The activities are simple enough to follow along. There are suggestions on where you can draw, different themes, and also inspiring stories to get you going. It's a nice book that want to help you develop a creative habit. And it's not too expensive.